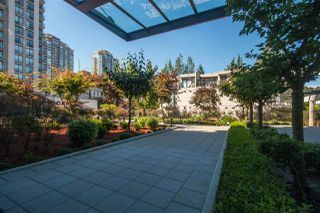 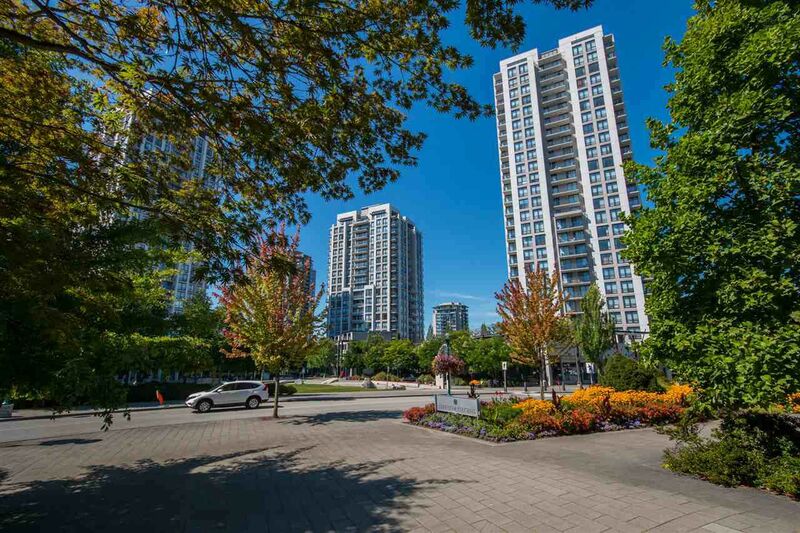 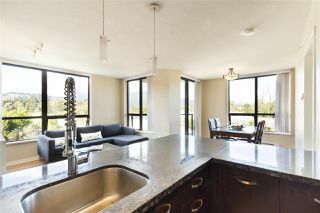 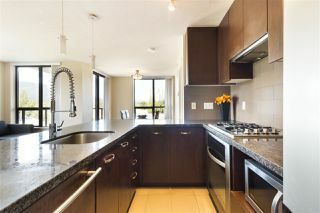 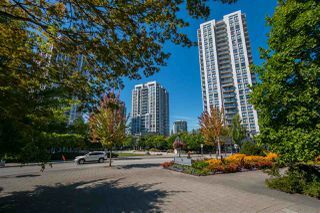 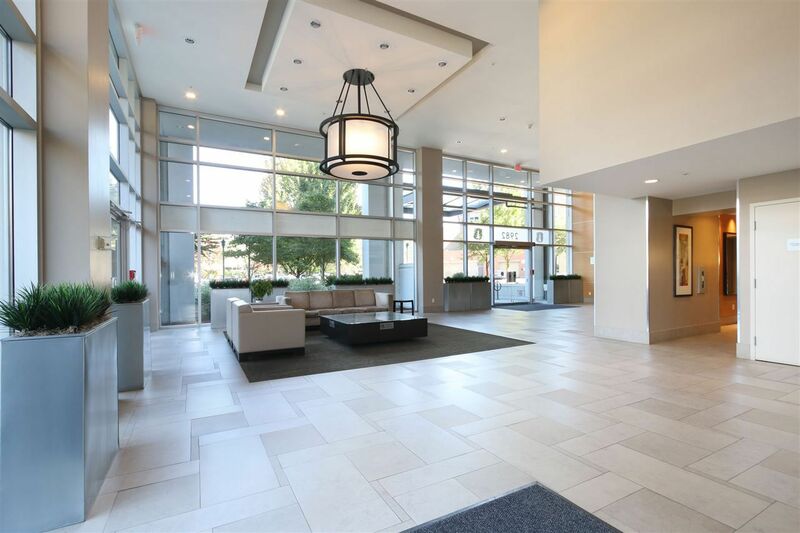 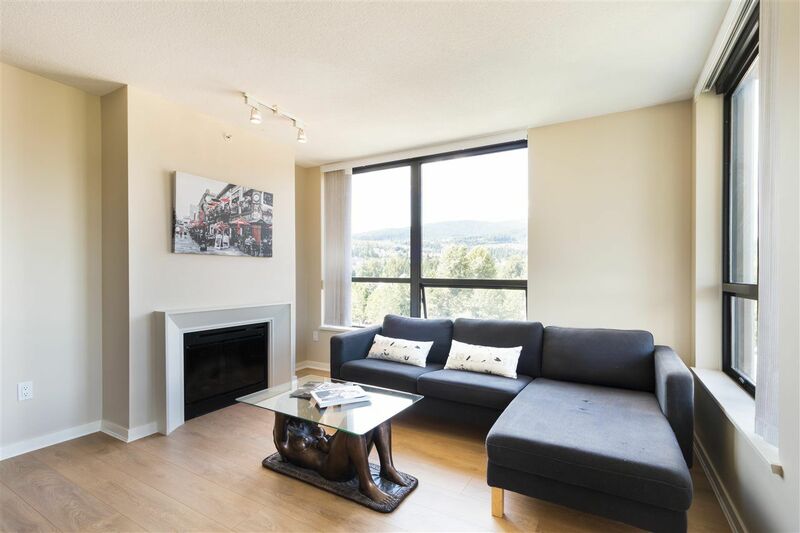 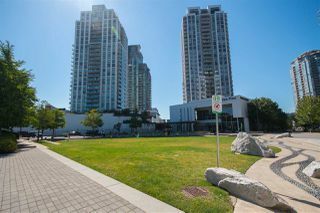 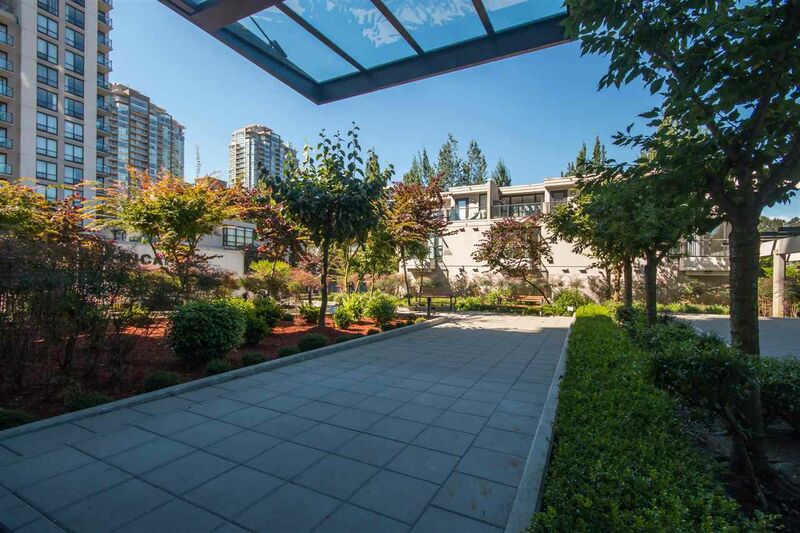 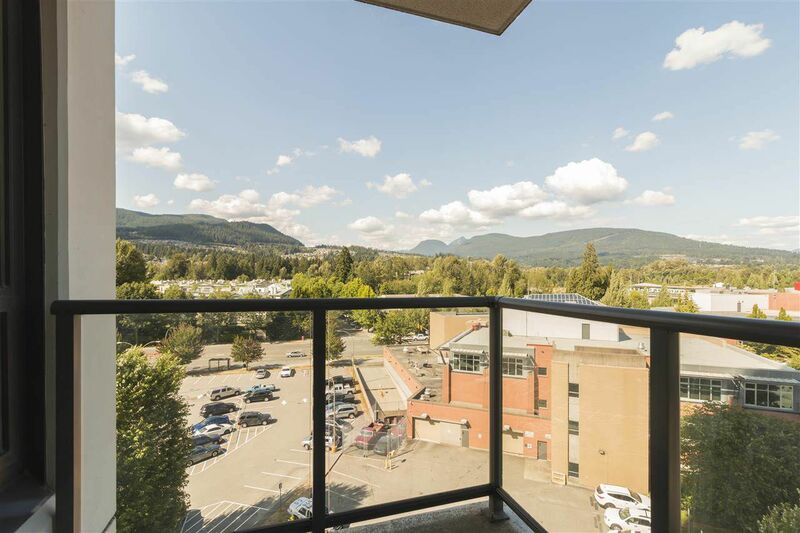 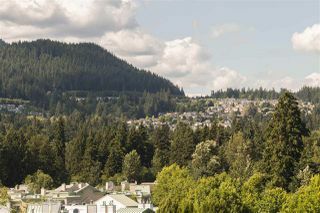 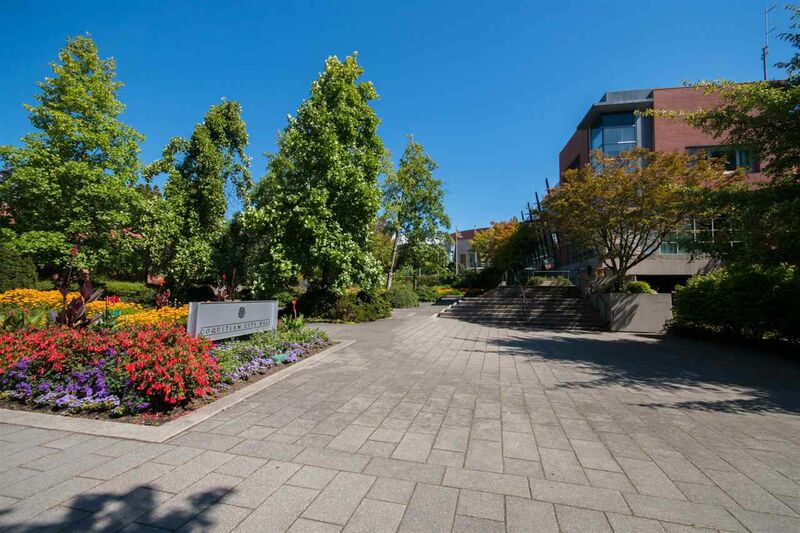 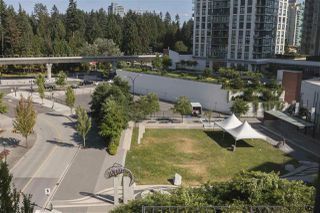 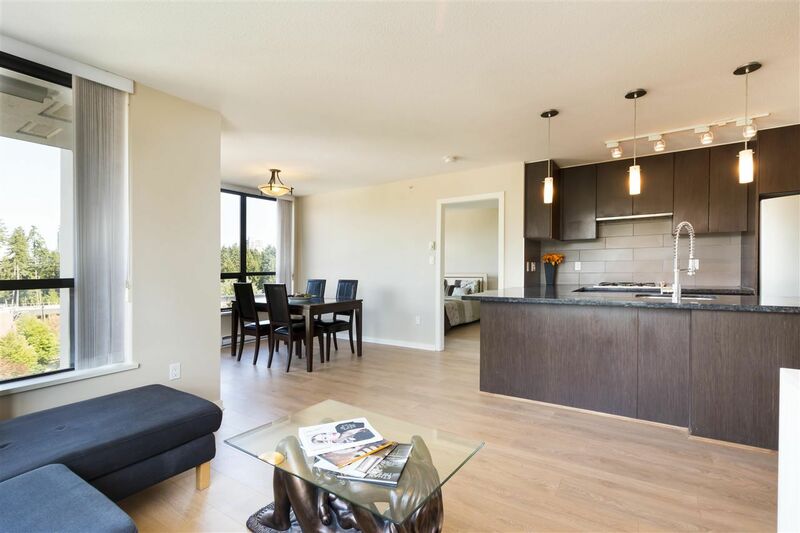 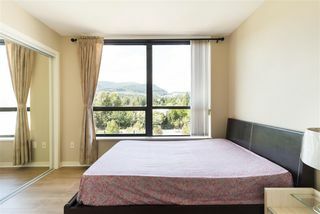 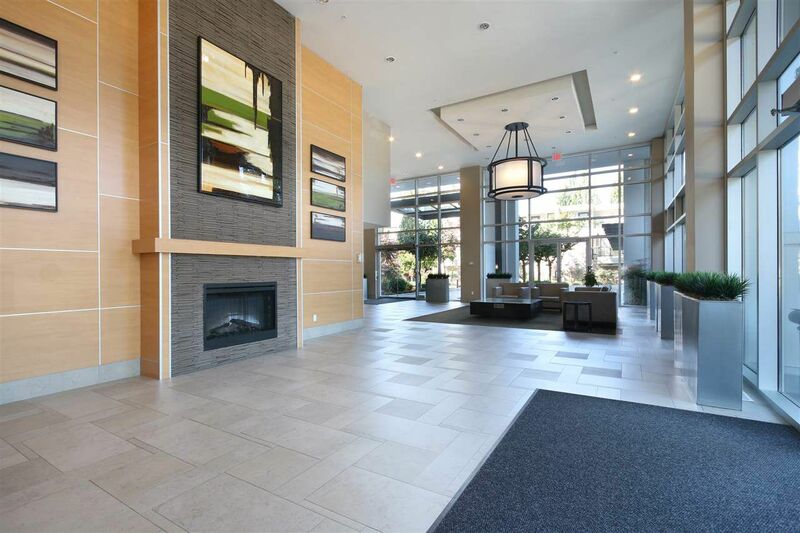 Unobstructed Panoramic View from this 2 bed 2 bath plus workstation at Edgemont by Bosa. 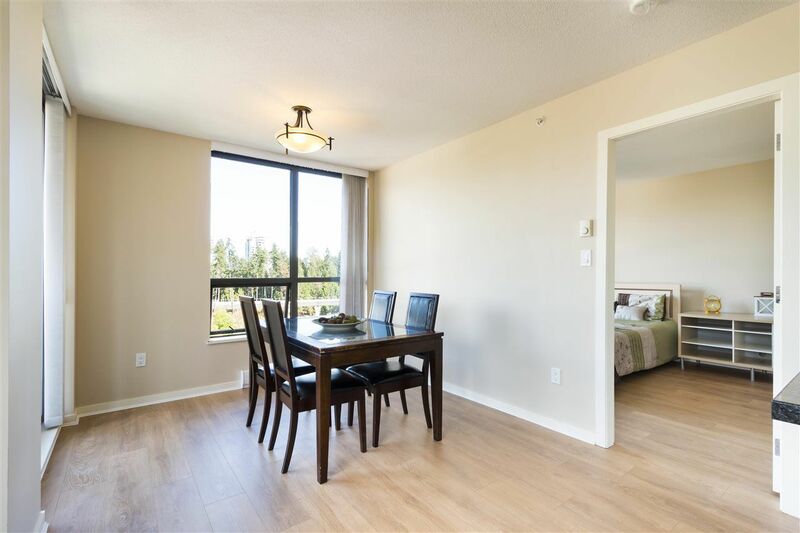 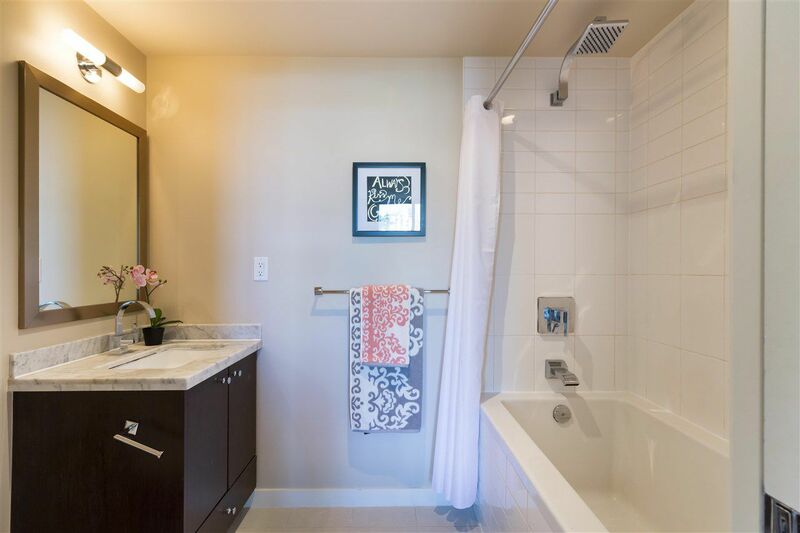 This Northeast corner unit boasts Brand New Wide Plant Laminate Flooring, 8'6 ft ceiling, Gourmet Kitchen with S/S Appliances & Granite Countertops. Living room with cozy fireplace. Huge Master bedroom with double closets and ensuite. 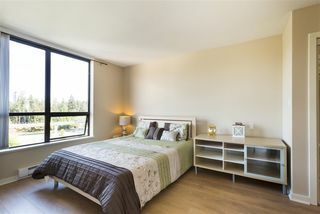 2nd bedroom on the other side of the living room with large closet. 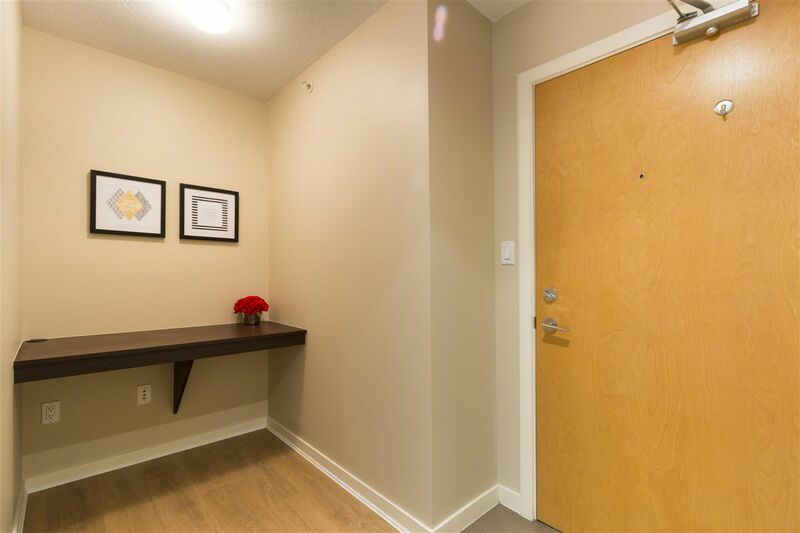 Built-in workstation and large laundry closet. The sliding door off Dining room leads to a spacious balcony overlooking Spirit Square, perfect for year around BBQ. 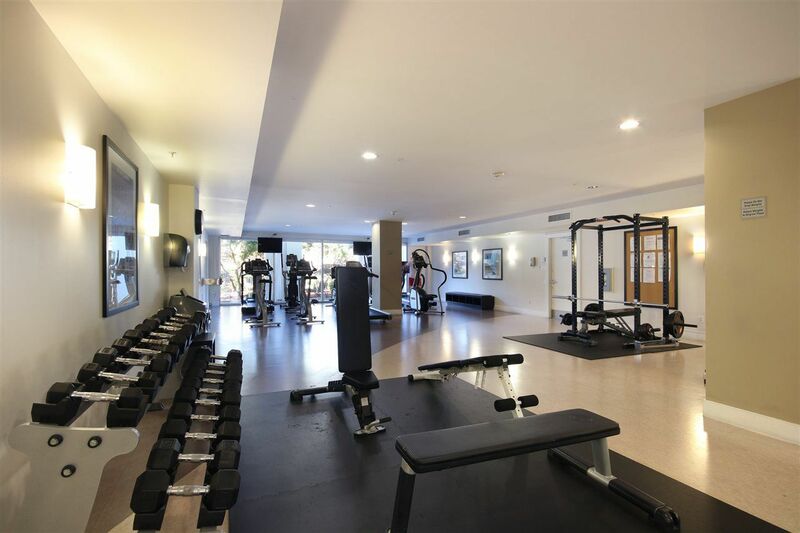 Free access to Gym. 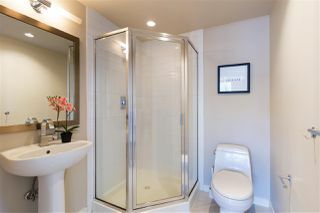 Pets & rental welcome. 1 parking 1 locker included. 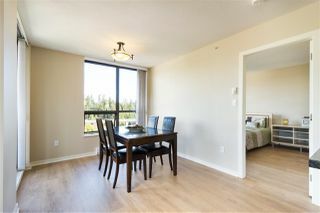 Walking distance to Skytrain, Coquitlam Centre, Lafarge Lake and Schools. Freshly painted and ready to move in!